Everyone loves Clifford! 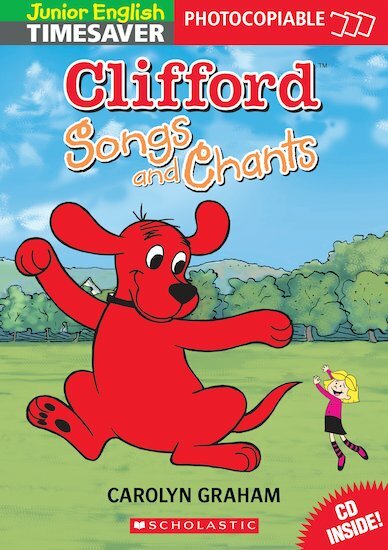 This book provides 15 songs and chants all about Clifford, the big red dog. Pupils listen and sing along with the CD or use the music-only track to sing by themselves. Fun activities for the young learner include colouring, drawing and doing actions. Ideal for primary level classes. Full teacher’s notes with extension ideas included.